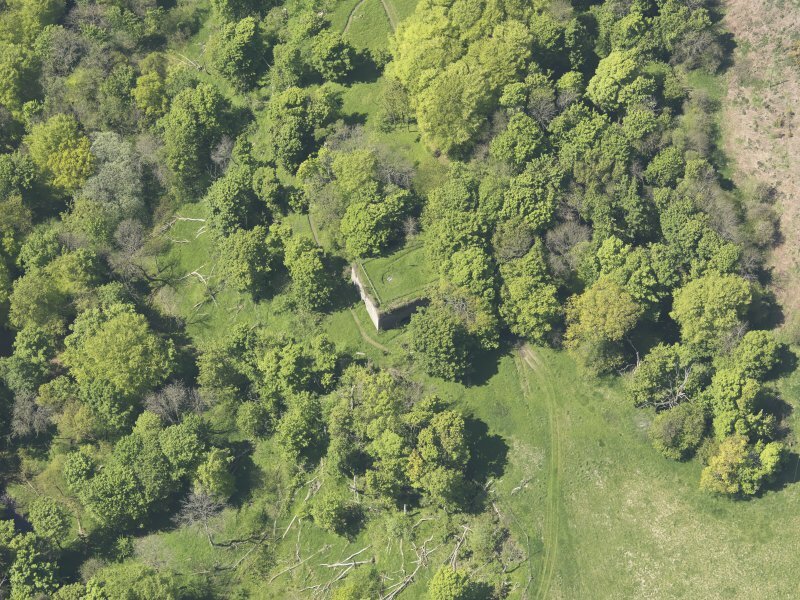 Oblique aerial view of Craighall Castle, taken from the E.
Craighall, Formerly the Seat of Sir Thomas Hope, King's Advocate for Scotland, A.D. 1628, Fife-shire. 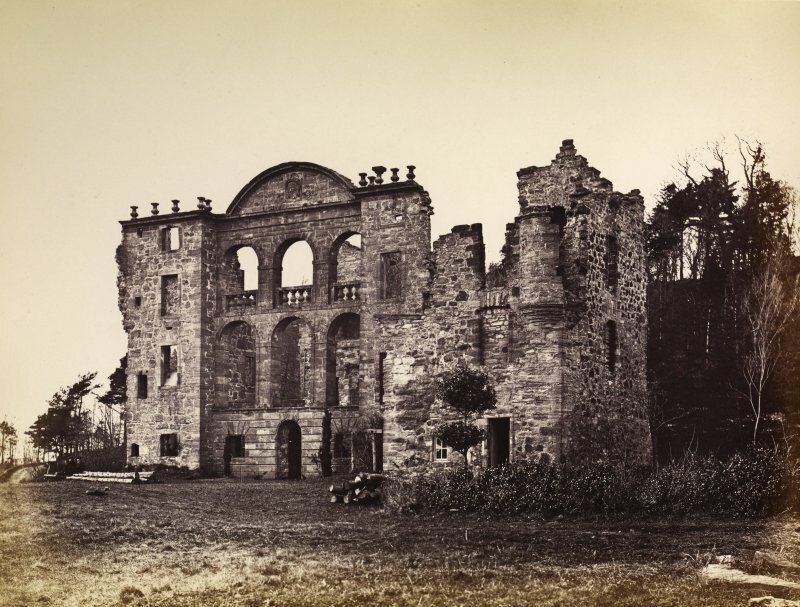 General view of Craighall Castle looking north. Digital image of F/78. 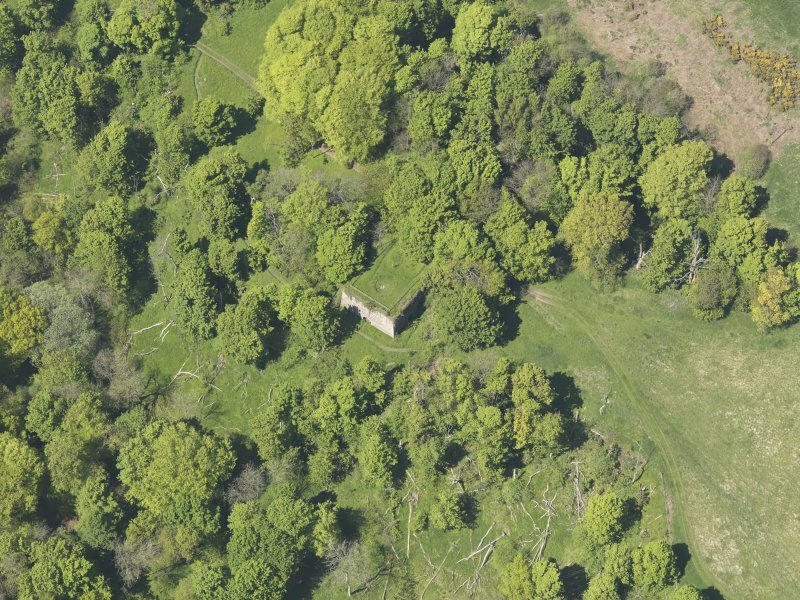 Oblique aerial view of Craighall Castle, taken from the SE. 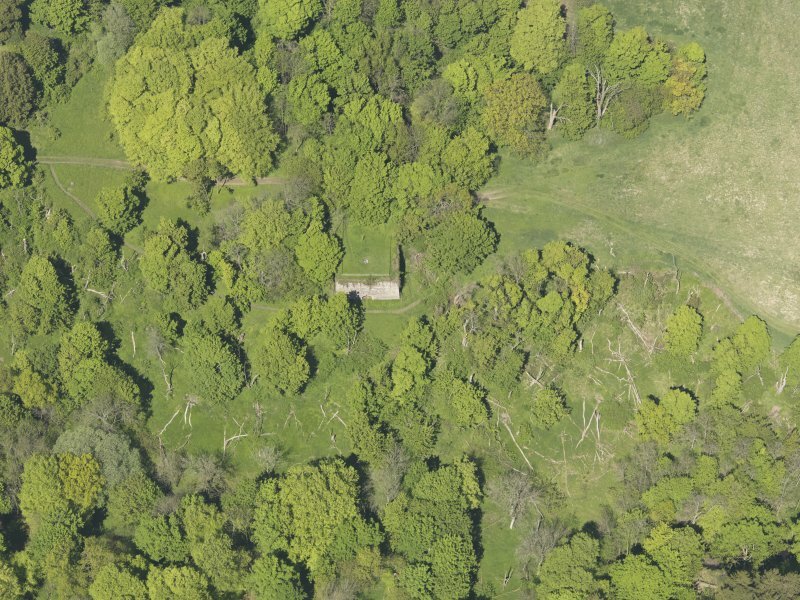 Oblique aerial view of Craighall Castle, taken from the S.
Oblique aerial view of Craighall Castle, taken from the N.
NO41SW 10 4077 1065 to 4066 1062. The Renaissance front of Craighall bears the date '1691'. 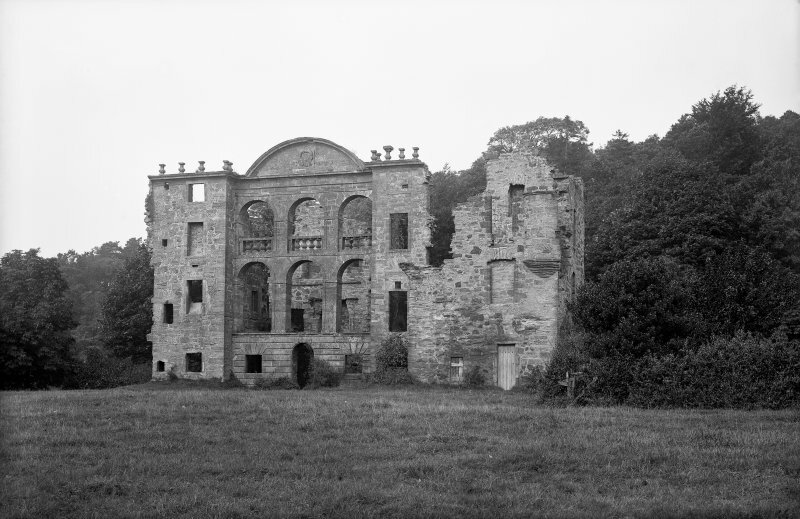 A charter dated 1507 by Andrew Kinninmond was signed at Craighall and the lands and house of Craighall were held by that family until sold to Sir Thomas Hope who built the present mansion in 1637, incorporating the older tower. The gate-tower to the SW bears the date '1637'. Craighall Castle. "This house has been built in at least two periods. The plan in its first stage, in the early 17th century, seems to have included a long, oblong main block, with a small projecting wing set almost midway on the north, and two symmetrical wings projecting southwards from the southern ends. In the last decade of the century the recessed front was partly infilled with a screen having a tower to match the existing stair-tower which was then remodelled. In the pediment of the screen is a panel bearing the date '1697'. The entrance has passed through a gate-tower which in two places is dated '1657' but which has subsequently been modified. This entrance lies among the farm-buildings, some of which date from the 17th century. 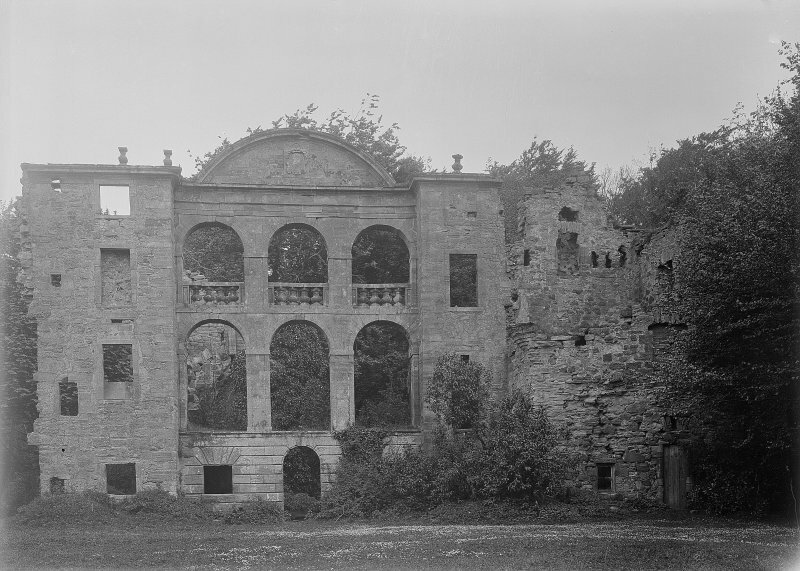 The tower was removed after the old granary was burnt down about 1954. 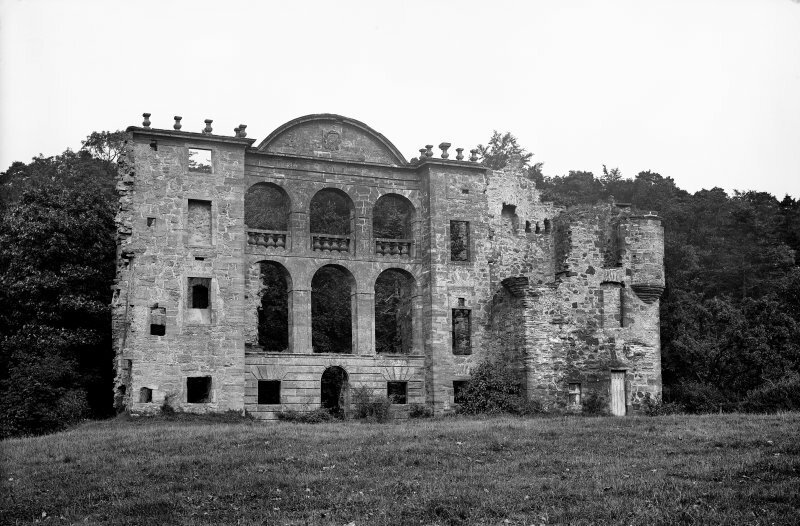 The castle is likely to be demolished shortly owing to its dangerous condition (G Balfour, owner, Craighall). 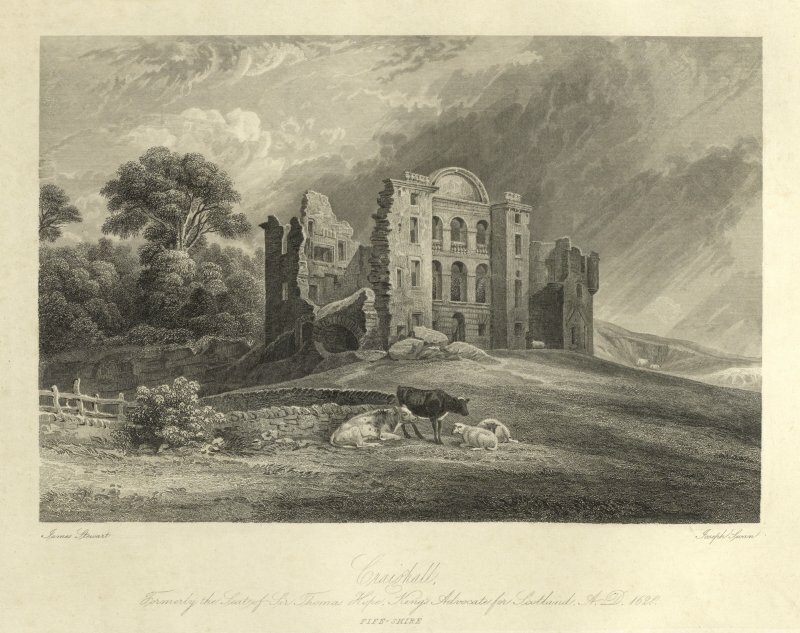 Craighall Castle has now been demolished and most of the stones removed. One portion of stone walling remains on the E side. 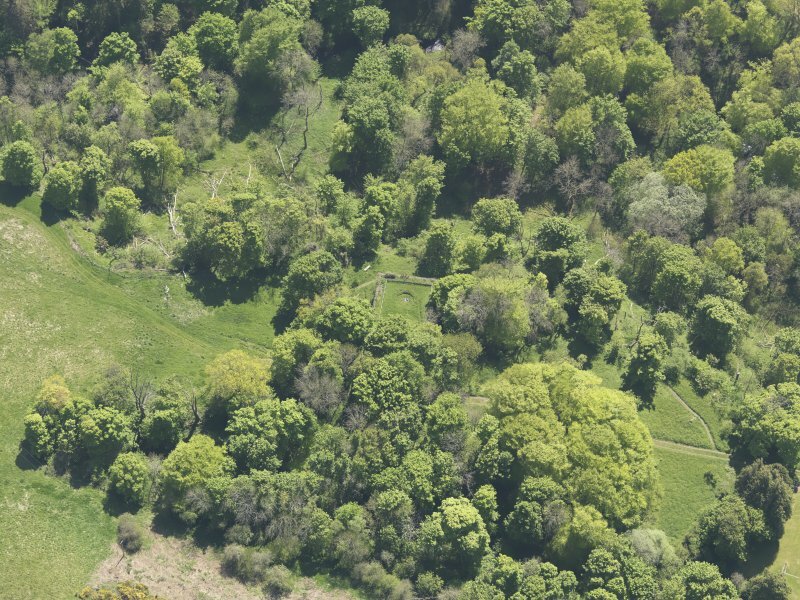 The rest of the site consists of loose masses of masonry and stones covered by grass and rank undergrowth. Permission given to demolish this Category B Listed building between 1955-1957. Information taken from Demolitions catalogue held in RCAHMS library. Photographic survey by the Scottish National Buildings Record in 1957.